Sputnik reached out to Nikolai Kozhanov, a senior lecturer in the political economy of the Middle East at the School of Economics of the St. Petersburg State University to find out whether the Allied forces' actions in Iran were legitimate and what goals the UK and the USSR pursued in the region. According to the academic, from the beginning of the Second World War, both the USSR and the British Empire were interested in exerting joint pressure on Iran. However, the Soviet Union and the UK sought different goals in the region. "The USSR's primary task was to arrange the delivery of military aid from the allies [through the Persian corridor]," Kozhin elaborated. "The USSR and Great Britain had started negotiations from the beginning of the war. We must give credit to Soviet diplomacy: Moscow tried to convince Iran to allow military convoys to pass through its territory until the last moment, till mid-August ." Kozhinov noted that there was yet another reason for the USSR's decision to step in: Moscow knew that London could deploy its military forces in the region unilaterally and tried to prevent the UK from gaining control over Iran. The Soviet Union regarded the Imperial State of Iran as being within its sphere of influence in the Middle East, he said. "Therefore, the Soviet Union had two motives: the Lend-Lease program and the traditional confrontation with Britain," the academic highlighted. "In fact, it was an episode of the Great Game," he said, referring to the 19th-century struggle between the British Empire and Russian Empire for control of South Asia. As for the UK, its primary aim was to ensure the safety of the Iranian oil reserves, Kozhinov pointed out. 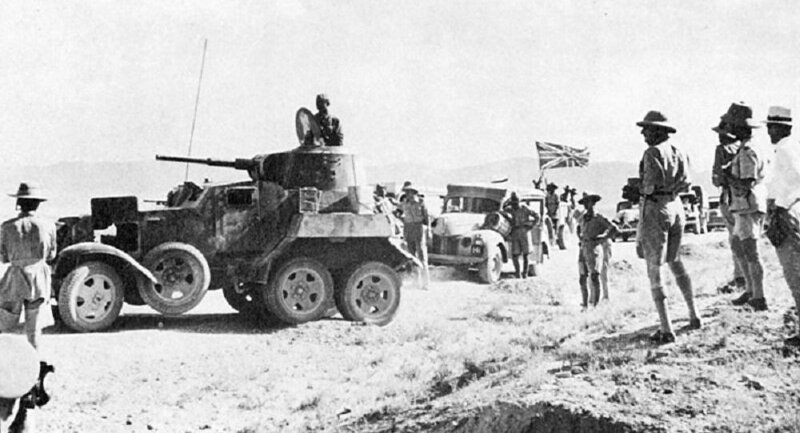 The Wehrmacht's rapid offensive on the Soviet Union triggered fear among Britons that Nazi Germany could soon reach Iran's southern oilfields — one of the main sources of crude for the entire British Empire. "The invasion of [Iran] by British troops was aimed not at helping the Soviet Union in the first place," the lecturer elaborated. 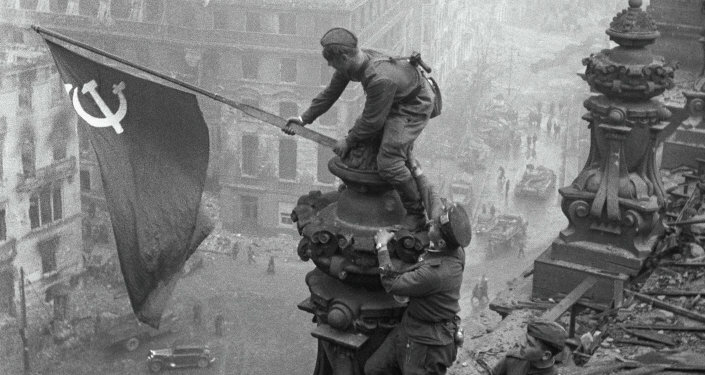 "In fact, Britons delayed the delivery of supplies to the USSR to the very last moment and didn't allow them to happen all at once: They procrastinated, watching how the Soviet-Germany confrontation would end in the first months of the war." Was There Any Legal Basis for the Deployment? The initiative to deploy troops to Iran came from the UK, not the USSR, Kozhinov underscored. The Soviet leadership delayed the intervention, holding negotiations on the safe passage of military convoys through the territory of Iran with the Shah. Only when Reza Shah Pahlavi announced that he would not allow the transfer of military goods through the country, the Soviet Union resorted to the introduction of troops. However, the deployment of the Soviet military personnel in Iran was carried out under the Russo-Persian Treaty of Friendship, signed on February 26, 1921. "From the moral point of view, the actions of both Great Britain and the Soviet Union were, in fact, steps to seize and occupy the neighboring country," Kozhinov said. "However, if one adopts a more balanced and cool-headed approach, one must admit that the Soviet Union had legal grounds for the introduction of troops. There was the 1921 treaty, paragraphs 5 and 6 of which implied that in the event of a threat to its security emanating from the territory of that country, the USSR could deploy its troops there." On the other hand, he believes that the Nazi threat to the USSR from the territory of Iran was exaggerated: If one takes a look at the Soviet Foreign Ministry's documents, one would see that at that time, the Kremlin was much more concerned about the potential danger posed by Britons or Azeris and Armenian nationalist groups in the region, he said. Kozhinov recalled that Nazi operatives were very active in Afghanistan. However, this problem was successfully solved through a limited military operation, he said, stressing that in contrast, to tackle a lesser threat, the USSR and Britain jointly dispatched three Soviet armies and a British military corps to Iranian territory. While the USSR had the legal basis for the introduction of troops, the British occupation of Iran was a de facto arrangement, the academic underscored. "It was actually an occupation on [the UK's] part," the lecturer explained. "They did not have any agreement [with Iran]. The troops were deployed under the pretext of Britain's concerns about the actions of German agents." He referred to the fact that the British presented an ultimatum to Tehran, claiming that German citizens had been carrying out activities which targeted the Allied forces' interests in Iran and demanded that all German citizens be immediately expelled from the country. "The documents in our possession indicate that at the last moment, Iran had almost agreed [to meet their demands], but no one listened," the academic stressed. "The troops were deployed and ready for the operation. The British were ready to [place their troops there] before the Soviet Union."